We want to offer our heartfelt thanks and appreciation for everything our brothers in U2 did for us in the aftermath of the November 13 attacks. They reminded us that the bad guys never take a day off, and therefore we rock ’n rollers cannot either…and we never will. 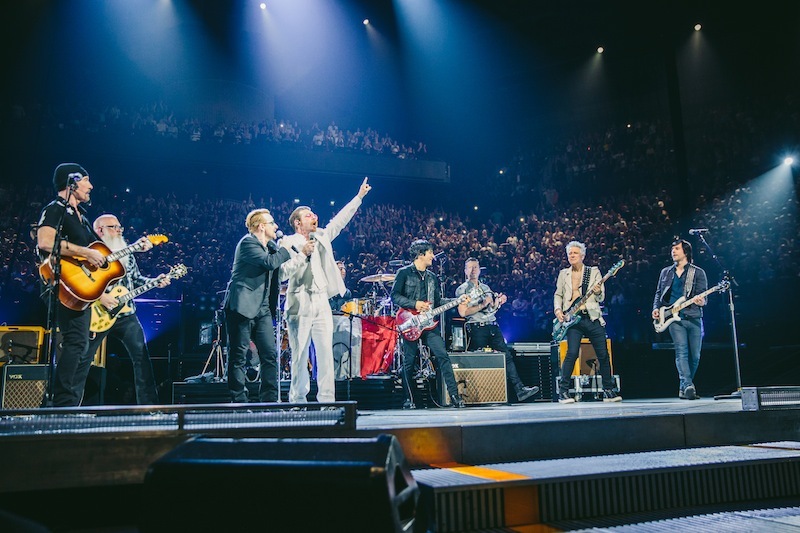 We are incredibly grateful to U2 for providing us the opportunity to return to Paris so quickly, and to share in the healing power of rock ‘n roll with so many of the beautiful people – nos amis – of this great city. Thank you to Bono, The Edge, Larry and Adam, thank you to their wonderful management, thank you to France, and thank you to everyone in the world who continues to prove that love, joy, and music will always overcome terror and evil. We look forward to fighting the good fight on many more fronts very soon, especially when we pick up our tour in 2016. See you again in February, Paris.